I wanted to unwind, to distress, to free myself from all the clutter occupying my mind. So one fine day of August, I asked permission from my daughter and husband to allow me to have some mommy time. Mommy time turned out to be traveling solo for the first time. There were understandable apprehensions initially, but my hubby and daughter were very supportive of the idea that mommy needs a break too and it is her choice how to spend her mommy time. 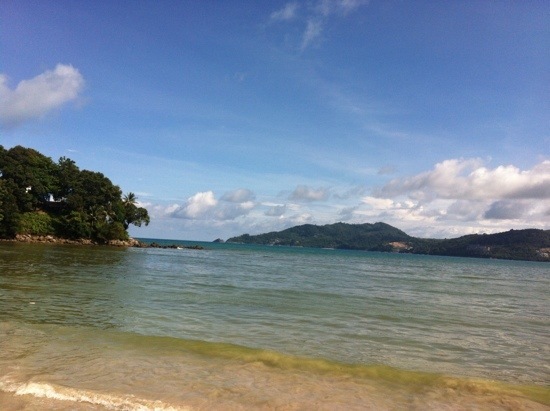 On a budget, I started my weekend retreat in Phuket, Thailand by flying AirAsia. 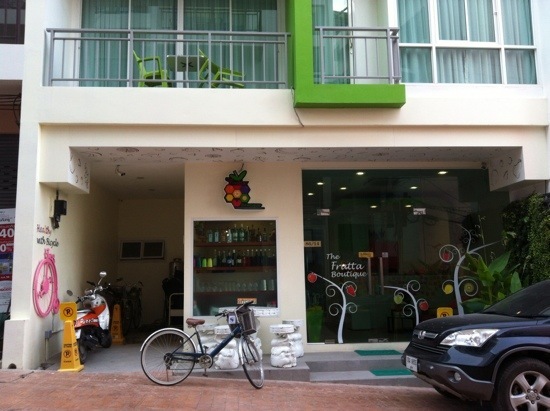 I stayed in a small boutique hotel in Patong area called Fruitta Boutique Hotel. The hotel is a small hotel but the rooms were spacious, clean and everything in good condition as the hotel was quite new. It was a safe place for solo traveler too. Click “here” to read my full hotel review at Tripadvisor. The entire staff was very nice and attentive to the needs of the guests. I am reminded of Filipino hospitality. We are very much alike with the Thais in treating visitors, foreigners in our home country. 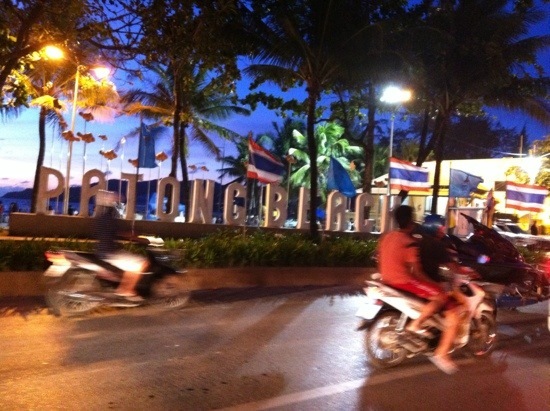 The hotel was some meters away from Patong Beach and to reach it, you will either rent a motorbike or take a cab that is about THB 200 one way. Good thing is, this hotel offers free use of their bicycles for guests. 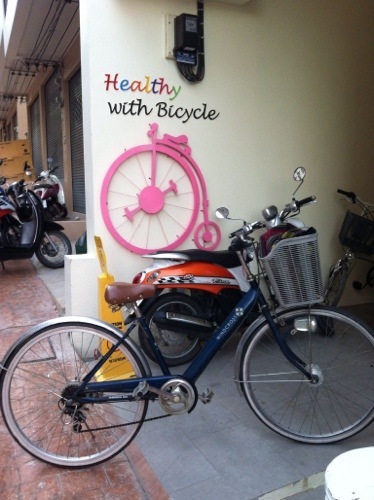 I opted for the bicycle – it’s free, it’s earth-friendly and it’s good for my health. 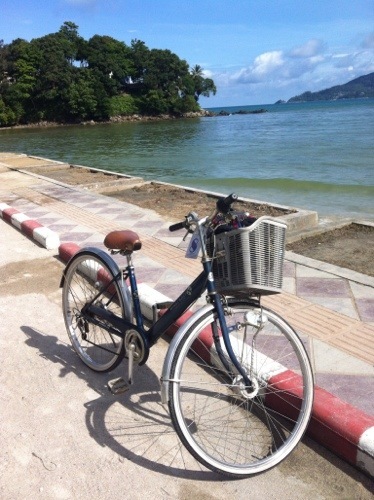 That bicycle adventure in Phuket turned out liberating like Meg Ryan riding her bike in City of Angels. But luckily, unlike the movie, I met no accident on the road. I had the best ride in the early morning where the streets were not packed with tourists, most shops were still closed and beach road was not crowded. It felt like it’s just me, my bicycle and the beach. 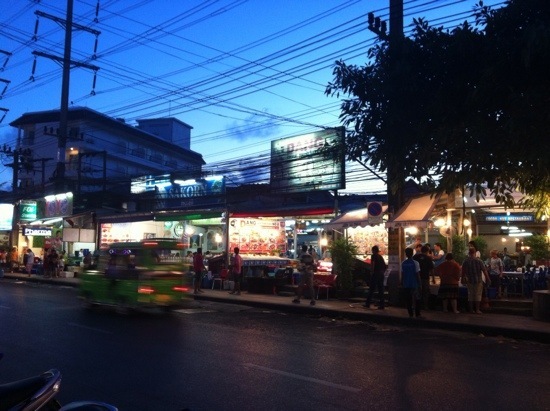 Although I wouldn’t suggest biking in Phuket once sun is gone, it is quite scary on the road with all motorized vehicles passing by. 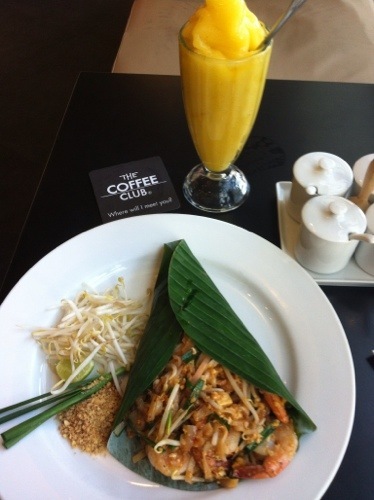 Food was cheap and okay but they seem to have westernized the taste a bit unlike when you eat Thai food in Bangkok. Massage services in the beach were inexpensive too so I took the chance to have a good back massage by the beach for an hour at only THB150. 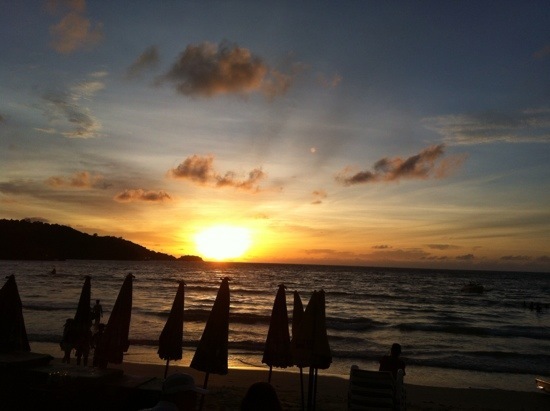 While night scene in Patong Beach is popular for partying, booze here and there, I had another idea of spending the evening in Patong Beach. Sunset. 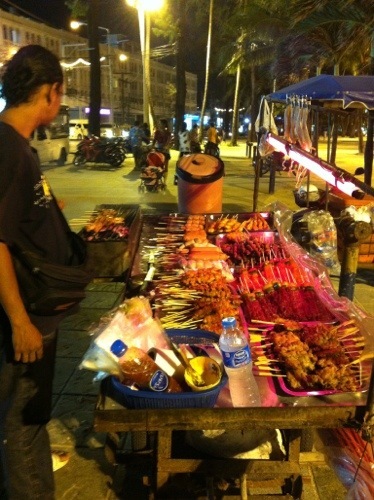 Street-food. Shopping. It was an awesome night!